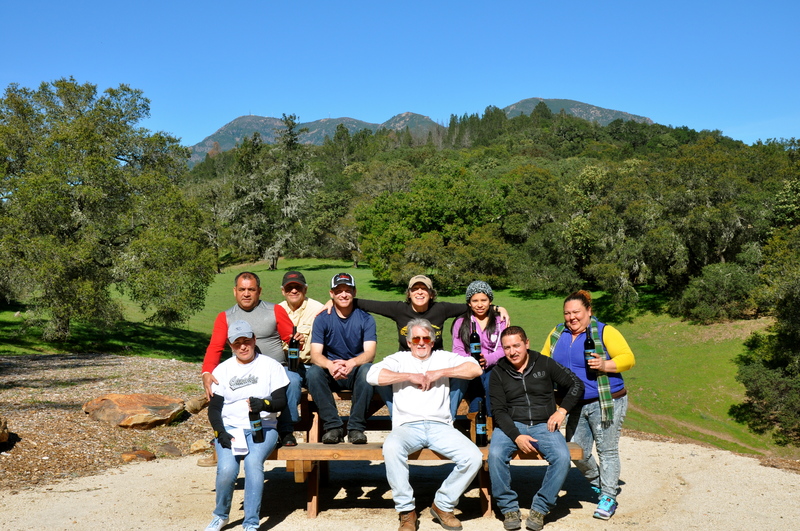 On Tuesday, February 24, 2015, we bottled over a thousand cases of the 2012 Elodian Cabernet Sauvignon. From the moment the grapes were picked in the fall of 2012, until the day of bottling, the wine was meticulously cared for while barrel aging for two and a half years. This makes the bottling process an intense but essential climax to the winemaking process; it is the moment when the winemaker cuts the umbilical cord to the baby, thereby releasing it to the waiting public. It’s like watching your child go off to college, hoping and praying you did everything in your power to make them the best they can be. A dramatic analogy, I know, but it demonstrates that everything must be perfectly aligned on bottling day in order for the consumer to enjoy the wine as the winemaker originally intended. 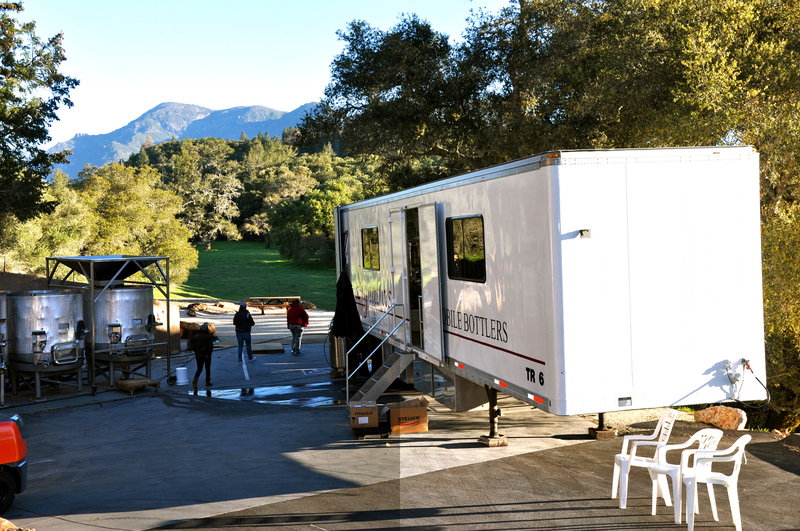 from the concrete crush pad of the winery as the Signature Mobile Bottling truck finishes sanitizing the bottling line. 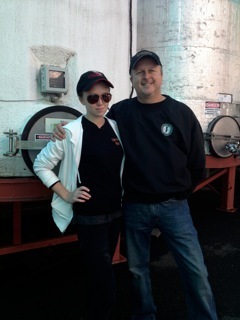 Two tanks full of 2012 Elodian Cab (exactly 1003 cases) sit idle, waiting to fill the antique green, claret-style bottles. Bags of corks and boxes of capsules standby, ready to put the finishing touches and seal the wine until it is time to be consumed. The 48 foot long bottling trailer is a marvel of modern engineering. Thousands of moving parts, made of stainless steel, rubber and plastic move seamlessly in unison to fill the bottles with wine, pushing the corks into the necks of the bottles, sealing the top with a capsule and slapping on a front and back label at a rate of 180 bottles per minute. Whew, that’s really cranking! A crew of workers hums around the truck, like honey bees, ensuring each bottle is ready to be filled. Each capsule is perfectly placed and each case is rapidly packaged and gently loaded on to empty pallets. This is a well-oiled machine of human labor and mechanical prowess working in near perfect coordination to ensure a clean and efficient day of bottling! 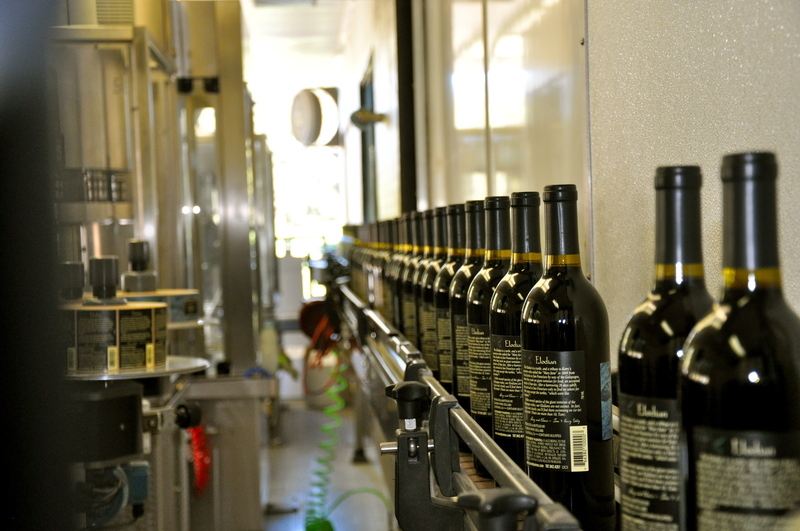 This was our first-ever bottling at the new Tom Eddy Winery. Thanks to our friends and Signature and Vinpack, it could not have gone any better. It takes a small army and many great vendors to get our precious wine into the bottle and to your door, and for that we are thankful. Well, our baby is graduated and off to be consumed…we hope you enjoy drinking it as much as we enjoyed making it! To filter or not to filter…. In honor of the recent bottling our 2012 Tom Eddy Manchester Ridge Unfiltered Chardonnay, I thought it would be fun to discuss the pros and cons of making a product like this and discuss exactly what unfiltered means. 2008 from the Diamond Mt. area and the other is the 2012 Manchester Ridge. 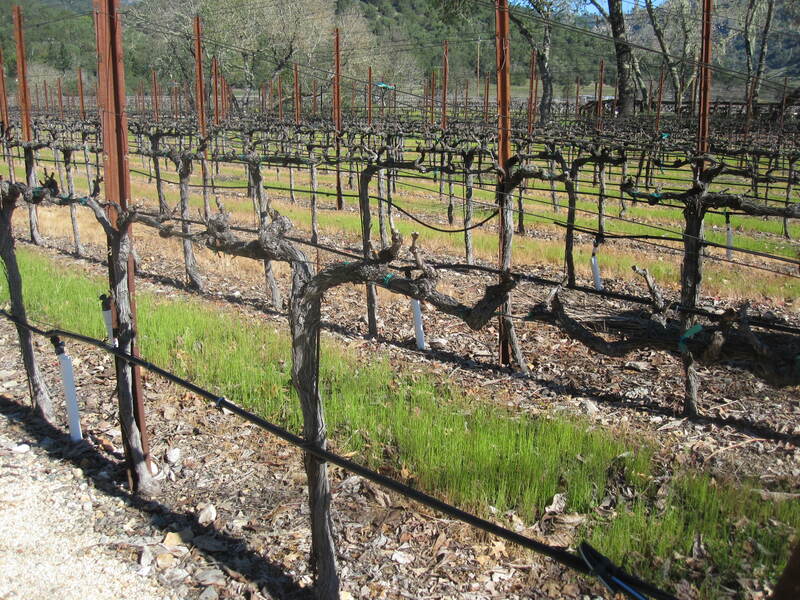 The Manchester Ridge grapes come from a coastal, cool climate region in Mendocino, 2000ft. above sea level but overlooking the ocean. Weather-wise, the area is more like Burgundy than Calistoga, and the vineyard is the same source for our more well-known Tom Eddy Manchester Ridge Pinot Noir. Because we only made 6 barrels (@360 gallons) of Chardonnay from this ranch in 2012, we decided it would be fun and educational to do a bit of an experiment and create two distinct products from the same wine. How is this possible you ask? 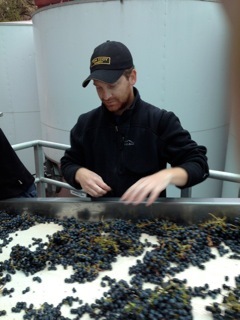 Well, since the grapes are all the same and the wine is uniform in nature, the difference was created using disparate winemaking techniques. Is a barrel wand like a magic wand? 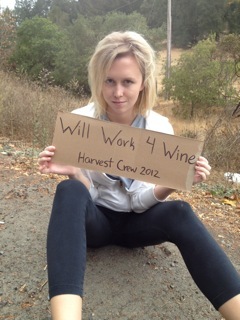 The wine was fermented in six French Oak Barrels, two if which were brand new. 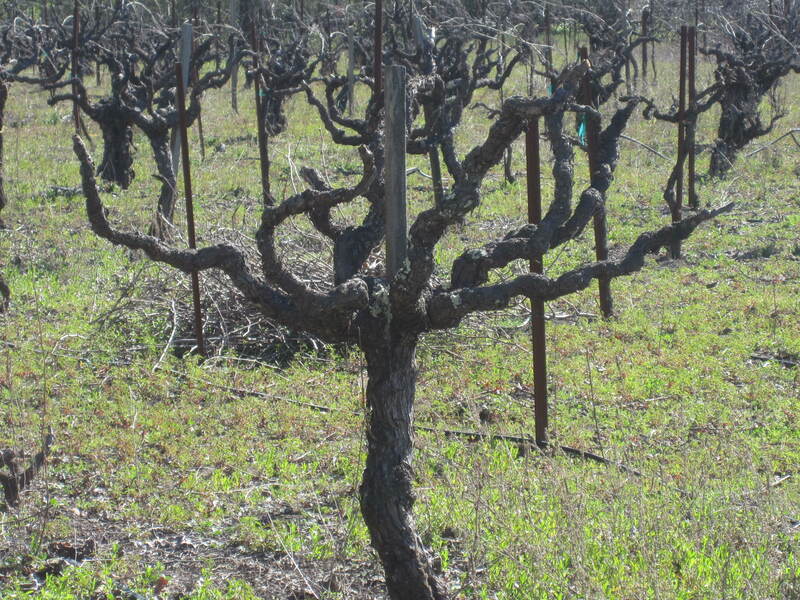 It is important to balance new oak vs. neutral oak as it is very easy to “over-oak” a wine where you are extracting so much oak flavor and tannin from the new barrels that you can overpower the Chardonnay character and make the wine one-dimensional. New oak is like the cherry on a sundae: it is such a small part of the overall flavor profile but it wouldn’t be the same without it. We also chose to use a technique known as sur lie aging. As grapes are being converted into wine, lots of solid particles are integrated into the wine, especially early on in the process. These solids consist of many different things: yeast, bacteria, protein, tannin, color, polysaccharides….the list goes on. Some of these solids settle over time to the bottom of the barrel, some stay suspended depending on their density and solubility. With sur lie aging we use a barrel wand to stir the wine in barrel once a week to re-suspend any solids that have settled to the bottom. This allows for polysaccharides (as well as other components) to integrate into the wine at a higher rate, increasing mouth-feel, creaminess as well as protecting the wine from oxidation. The barrel wand truly is magical! We decided to break the 2012 Chardonnay into two lots: 1) filtered, and bottled after 10 months and 2) Unfiltered, and bottled after 15 months. 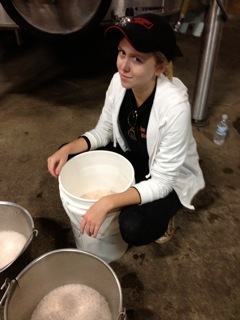 Filtration is a key tool in winemaking in order to guarantee a stable, clean product. But filtration has its price. 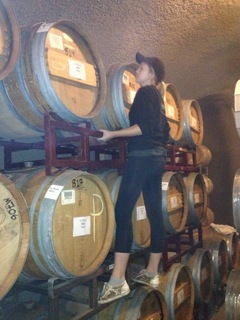 There is nothing better than Chardonnay (or any wine for that matter) fresh out of the barrel. The richness of flavor and intensity are difficult to maintain all the way through bottling. A major reason for this is the “stripping” effect of filtration. The wine is essentially being pumped through a depth filter and a membrane filter to remove all bacteria and yeast (making it microbiologically stable) and remove any leftover sediment for a clear clean look. Filtration is necessary for a stable, consistent wine from bottle to bottle which is why all large commercial wineries filter their wine in order to create a consistent product. So we decided to bottle two thirds of the Chardonnay in this more commercially standard style, and we are very satisfied with the results. The filtered Chardonnay is clean and crisp and delicious, exactly what we want from this wine! However, we decided to take a risk with two of the barrels and bottle them, unfiltered, in order to capture that “fresh from the barrel” intensity of flavor and aroma. We also aged the unfiltered wine for 5 extra months allowing for extra sur lie stirring as well as extended concentration and oak extraction from the barrel aging process. The wine is creamier and richer than its filtered cousin, with a slight (and expected) visual haze due to fine amount of sediment in the bottle. We know you will have fun discovering the subtle and special nuances between these two wines! When is a cluster not yet a cluster? 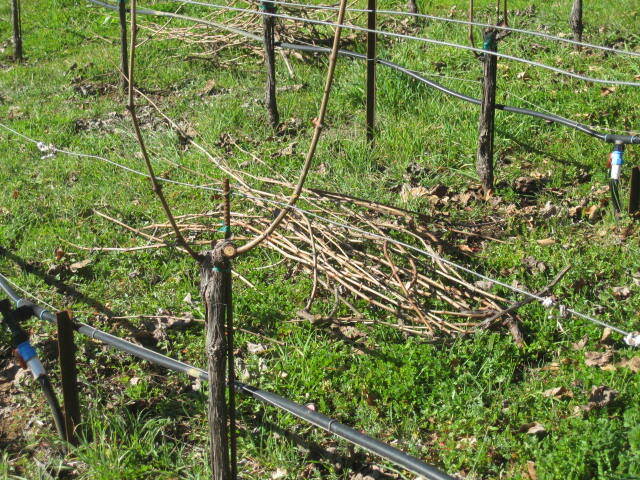 As springtime weather permeates the Napa Valley with consistent warmth and blankets the vineyards in daily sunshine, the vines react and begin to reveal early clues about their future grape crop. The steady warm weather coaxes the vine into producing an abundance of leaves while at the same time exposing its most precious asset, the flower cluster. But how does a flower cluster transform into a grape cluster? Flower cluster that looks like baby grape cluster. At this early stage in the life of the flower cluster, the rachis (or structural component of the cluster) is dotted with hundreds of tiny green bee bee-sized spheres. Over time, the cells within these bee bees begin to differentiate into unique and essential components of the grape flower, including male and female reproductive organs necessary for pollination. Six to eight weeks after leafing begins, the development of these flower parts is complete and the flowers are ready to bloom. 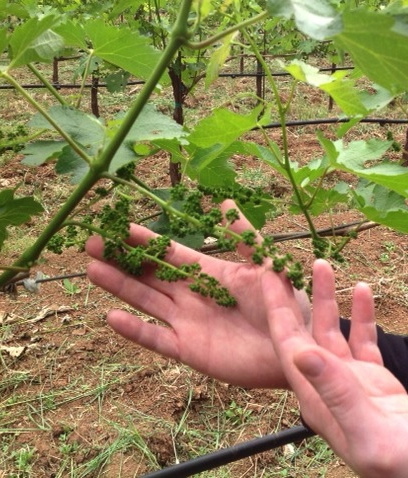 The creation of a grape flower is a delicate process influenced by many factors including plant nutrition and weather. Cold temperatures in spring will delay development, and rainy or cold weather can hinder the process by not allowing for proper pollination, often referred to as “shatter”. Once the grape flower has developed and its reproductive organs have been properly exposed (I apologize for the near x-rated description, but it’s just biology! ), pollination can occur. Without pollination, grapes would never develop on the vine so the whole global wine industry relies on this fragile process that occurs over only a handful of days). It is unclear what method the grape flowers use to become pollinated but it is believed that self-pollination is the most common process followed by wind and insects each playing a minor role. If temperatures drop below 60º F, pollination will be greatly reduced and if temperatures rise above 104º F, pollination will also be inhibited. 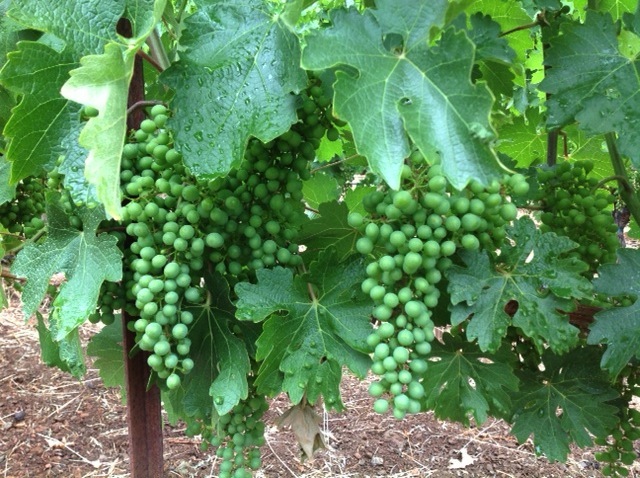 Clearly the environment must be in the right “mood” for grapes to be created, so hopefully this year Mother Nature has turned on her version of Tom Jones or Barry White in the vineyards and makes the magic happen! 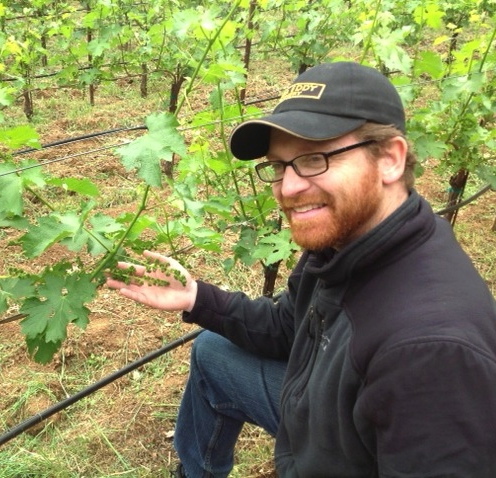 Blogger and Assistant Winemaker, Jason Gerard.